Second Half ended - Rennes 0, Nice 0. Offside - Rennes. Ismaila Sarr with a pass, however Souleyman Doumbia is in offside. New attacking attempt. 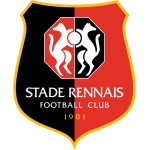 Romain Del Castillo - Rennes - shot with left foot from outside the box is saved by goalkeeper in the centre of the goal. Assist - Hamari Traoré. Missed chance. Youcef Atal - Nice - shot with left foot from the right side of the box is close, but missed. Assist - Pierre Lees-Melou. New attacking attempt. Ignatius Ganago - Nice - shot with left foot from a diffucult position on the left is saved in the left corner. Assist - Allan Saint-Maximin. Missed chance. Pierre Lees-Melou - Nice - shot with right foot from outside the box is high and wide to the left. Assist - Allan Saint-Maximin. New attacking attempt. Hamari Traoré - Rennes - shot with right foot from outside the box is saved by goalkeeper in the centre of the goal. Assist - Hatem Ben Arfa. Ignatius Ganago - Nice - won a free kick in defence. New attacking attempt. Adrien Hunou - Rennes - shot with right foot from few metres is saved in the right corner. Assist - Hatem Ben Arfa. Adrien Hunou - Rennes - hits the bar with a shot with the head from the centre of the box. Assist - Ismaila Sarr with a cross. Substitution - Nice. Youcef Atal for Bassem Srarfi. Substitution - Rennes. Eduardo Camavinga for Benjamin Bourigeaud - injury. Missed chance. Hatem Ben Arfa - Rennes - shot with right foot from outside the box is high and wide to the right. Assist - Souleyman Doumbia. Shot blocked. Clément Grenier - Rennes - shot with right foot from outside the box is blocked. Delay in match Benjamin Bourigeaud - Rennes - - injury. Corner - Rennes. Conceded by Walter Benítez. New attacking attempt. 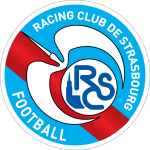 Ismaila Sarr - Rennes - shot with right foot from outside the box is saved in the left corner. Assist - Hamari Traoré. Substitution - Rennes. Clément Grenier for Jakob Johansson. Pierre Lees-Melou - Nice - won a free kick in defence. New attacking attempt. Hamari Traoré - Rennes - shot with left foot from outside the box is saved in the right corner. Assist - Romain Del Castillo. Missed chance. Romain Del Castillo - Rennes - shot with left foot from the right side of the box is close, but missed. Substitution - Rennes. Ismaila Sarr for M'Baye Niang. Shot blocked. Allan Saint-Maximin - Nice - shot with right foot from outside the box is blocked. Mexer - Rennes - receive yellow card for a foul. Pierre Lees-Melou - Nice - won a free kick in attack. Adrien Hunou - Rennes - won a free kick on the left wing. Hamari Traoré - Rennes - won a free kick in attack. Missed chance. Romain Del Castillo - Rennes - shot with left foot from the right side of the box missed to the left. Assist - Jakob Johansson. Corner - Nice. Conceded by Hamari Traoré. Substitution - Nice. Adrien Tameze for Danilo - injury. Second Half starts Rennes 0, Nice 0. First Half ended - Rennes 0, Nice 0. Christophe Herelle - Nice - won a free kick in defence. Missed chance. Danilo - Nice - shot with right foot from outside the box goes high from a free kick. Bassem Srarfi - Nice - won a free kick in attack. Corner - Nice. Conceded by Souleyman Doumbia. Hamari Traoré - Rennes - receive yellow card for a foul. Souleyman Doumbia - Rennes - won a free kick in defence. New attacking attempt. Danilo - Nice - shot with right foot from outside the box is saved in the top right corner. Danilo - Nice - won a free kick in attack. New attacking attempt. Damien Da Silva - Rennes - shot with the head from the left side of the box is saved in the left corner. Assist - Hatem Ben Arfa with a cross. Corner - Rennes. Conceded by Christophe Herelle. Hatem Ben Arfa - Rennes - won a free kick on the right wing. Hatem Ben Arfa - Rennes - won a free kick in defence. Missed chance. Bassem Srarfi - Nice - shot with left foot from outside the box goes high. Assist - Pierre Lees-Melou. Patrick Burner - Nice - won a free kick on the right wing. Offside - Rennes. Hatem Ben Arfa with a pass, however Adrien Hunou is in offside. Corner - Rennes. Conceded by Bassem Srarfi. Substitution - Nice. Ignatius Ganago for Mohamed Lamine Diaby - injury. New attacking attempt. M'Baye Niang - Rennes - shot with right foot from the right side of the box is saved in the top right corner. Assist - Hatem Ben Arfa. Hatem Ben Arfa - Rennes - hits the right post with a shot with left foot from outside the box from a free kick. Delay in match Mohamed Lamine Diaby - Nice - - injury. 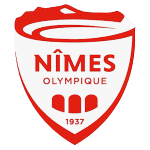 Mohamed Lamine Diaby - Nice - won a free kick in defence. Dante - Nice - won a free kick in defence. Remi Walter - Nice - won a free kick on the left wing. Allan Saint-Maximin - Nice - won a free kick on the left wing. Missed chance. M'Baye Niang - Rennes - shot with the head from the centre of the box missed. 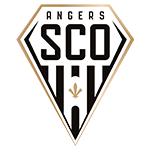 Assist - Benjamin Bourigeaud with a cross . Get real-time football commentaries and full coverage for the Ligue 1 match Rennes vs. Nice, powered by Scorenga.co.uk. This page is dedicated to one of the most exciting Ligue 1 clashes. Here you will find a summary of the game, standings and photos.